What does Co-op Membership mean? Click here to see the importance of being a member of the co-op. What is involved in a box subscription? Click here to see our Subscription Program details. What if I can't make a pick up? Pay-as-you-go subscribers will not be charged for that delivery. Prepaid subscribers will receive a credit on their account to be used towards co-op purchases in that year. - Day of pick-up: see next question. What happens if I miss my pick up? If we have not heard from you prior to your day of delivery and you don't pick up your order on your pick-up day, it will be donated at the end of the day and you are responsible for payment of that order. Variety! You will not get week after week of cabbage, we promise! Harvest Boxes will typically contain 5-10 fresh fruits and vegetables from several Sandhills farms. Click here to see details on the box contents and click here to view what the delicious produce the Sandhills has in store for us! How do I get my box/co-op order? When you purchase a produce box subscription or food from the online Artisanal Market by the weekly order deadline during the delivery season (April-November), the order is given to the farmer that week and your food is harvested/made to your order, and then you pick it up at a convenient Gathering Site of your choice. Click here for a list of our Gathering Sites. Or, if you live or work in Moore County (except Robbins area) you can choose home delivery! Work in an office and have others that are interested? Contact us at info@sandhillsfarm2table.com. Can I order from the Artisanal Market without a produce box subscription? Yes! You do not need to have a subscription to order other foods from the online Artisanal Market, you just need to be a co-op member. Just add the 2019 Membership to your cart first. Be sure to order before the Sunday evening deadline of 6pm and it will be delivered to your Gathering Site. What if I'm not happy with the product delivered to me? Quality Guarantee: We're all in this together. You should receive quality produce; there may be blemishes on natural produce, but everything should be edible and tasty! Farmers, staff, and volunteers check the produce several times during harvest, the grading process, and the packing process. Nonetheless, produce is a living, fragile product and occasionally something of poor quality slips through. If you receive a questionable item, we want to know about it. Call or email Member Support with details (a photo helps staff communicate the issue to farmers), and we'll take care of it. I'd like to pre-pay, how do I do this? We offer members a benefit of discounted boxes for their committment in prepaying in the pre-season. Each biweekly and weekly subscription has an associated fee for it. You can select this amount under "My Account" and then "Preferences." We will bill you for that amount, plus tax and the membership fee and also update your account to reflect the cost savings on boxes. This amount will draw down on your account as you receive boxes and would even out if that is all you wish to do. If you purchase additional items from the online market, that will also come from your balance until you hit $0 and then will be charged for additional purchases. Alternatively, you can also skip and add boxes as you'd like and keep up with where you are with your balance through "My Account" and then "Delivery History." I'm not sure if this subscription program is right for me... can I try it first? You are able to sign up for a subscription and cancel anytime by contacting Member Support. If you cancel within your first 3 deliveries, your membership will be refunded upon request. Membership fees are nonrefundable after your third box. We will not be able to refund any deliveries you missed that were not a fault of SF2T. Once the orders are placed, the farmers make the committment to deliver and will be paid. How is your program different from others? 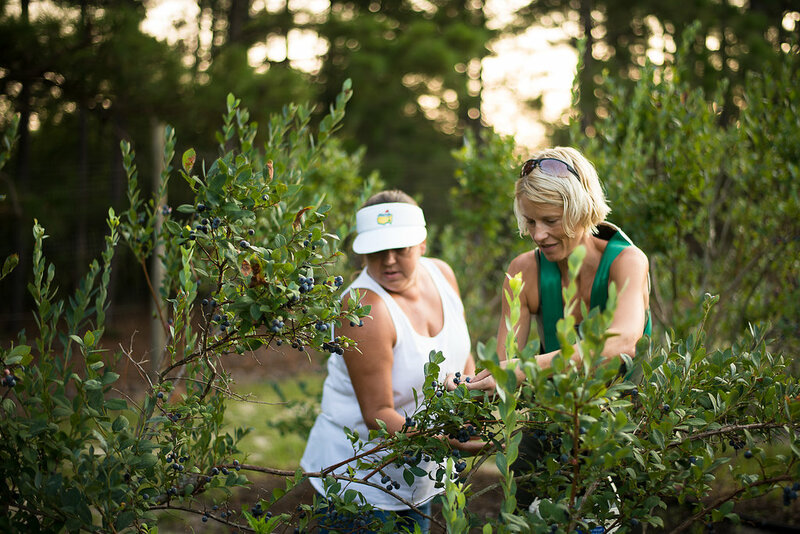 Our program is different in that we strive to solely use our co-op farmers that are located in the Sandhills and since we deliver only in the sandhills area, the farmers filling your boxes are truly your neighbors. We are the right-sized niche for small to mid-sized family farms that do not have hundreds of acres of certain produce. Our goal is to give our farmers a fair price for their produce (between retail and wholesale) and to greatly reduce their time off the farm since they are able to deliver their produce locally and get back to their farms.